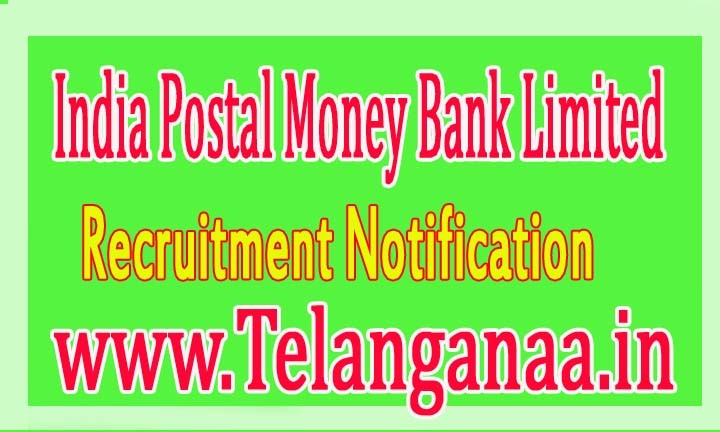 IPPB (India Postal Money Bank Limited) 01 Executive Officer Released Recruitment Notification, director posts-All coming and interested parties questioned candidates apply Can my email to send on or before 12/10/2016 More detailed information educational qualifications, age , selection, examination pattern, syllabus IPPB India Postal Money Bank Limited-Recruitment 2016-01 Executive Officer, mentioned for the director post below. Age limit -- Candidates age should be as on 01.09.2016 between 40 to 55 years. Age relaxations will apply according to the rules. Education -- should have candidates performed final degree / MBA or equivalent qualification from a recognized university. How to apply -- all coming and interested potential candidates can request form on official website http://www.indiapost.gov.in to download. along with relevant certificates to the following e-mail jobs@ippbonline.in before or on October 12, 2016 The application form After filling must send candidate softcopy application. Address --MS. Madhumita The Director India Post Payments Bank Limited Post Box No: 760, Speed Post Centre Building, Market Street, Bhai Veer Singh Marg, New Delhi -110001. The deadline for forwarding Filled application forms:- 12/10/2016.